There aren’t many sporting events that have stuck with Americans as a whole as much as the U.S. Olympic hockey team’s win over the Soviet Union in 1980, and then subsequent gold medal win over Finland two days later. This month’s CYITML “C” word has COACH, which is someone who understands the game; is an independent thinker; a good self-evaluator; and offers enthusiasm. That can apply to our daily lives at home or at work, or as part of an athletic team. Of course, that also can apply to a, well, coach. 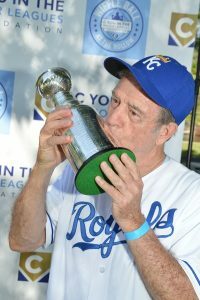 With this weekend marking the anniversary of the win over the Soviets (Feb. 22) and the gold medal win (Feb. 24), here is the second part of a past conversation between Kansas Citian and CYITML supporter, Ken Morrow, who was a defenseman on that 1980 team, and CYITML Director Matt Fulks. The main focus of this conversation is Herb Brooks, who should be considered one of the all-time greatest coaches in sports. 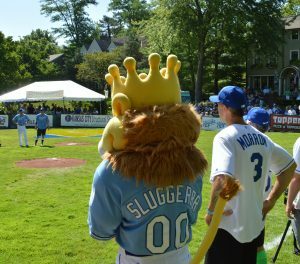 Ken Morrow, to the right of Sluggerrr, gets set to play in the inaugural “Wiffle Ball at the Hollow” in July 2017. Ken Morrow: For me, it was coming out of that first period with the score tied, 2-2. For those who don’t remember, we had been down 2-1 in the first period, and with a few seconds to go before the buzzer, our guy dumps it into their goal, it comes out, Mark Johnson rebounds, splits two defensemen and scores at the buzzer. So we went into the locker room with a 2-2 tie. 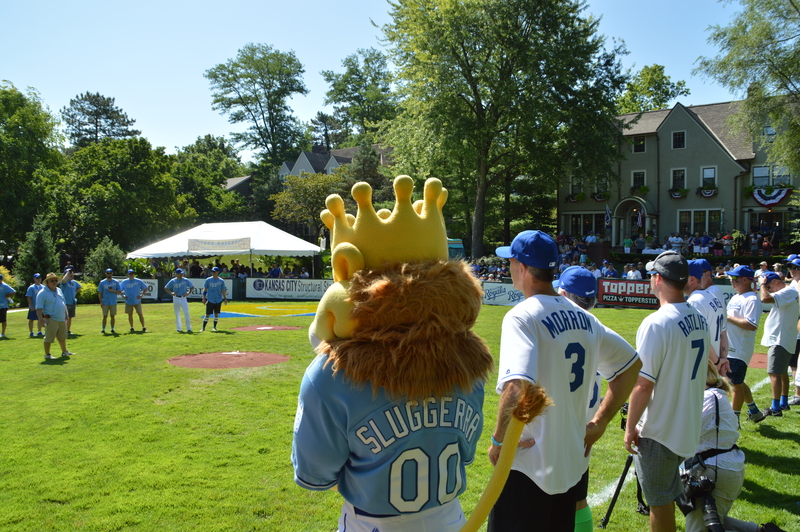 At that point, not that we knew we were going to beat them, but we knew we’d be in the game. We felt good about ourselves, having gone through that first game at Madison Square Garden, to come out of the first period tied 2-2 was huge for us. MF: I’m guessing you guys were a handful for Herb after beating the Russians, even though, mathematically, you could’ve lost in the gold medal game and not won a medal at all. MF: One of my favorite things about Herb Brooks are all of his quotes, some of which, as you’ve told me before, you guys didn’t really understand. Royals HOF broadcaster and hockey enthusiast Denny Matthews kisses Ken Morrow’s replica Stanley Cup at the 2017 “Wiffle Ball at the Hollow.” Morrow received four miniatures with the New York Islanders. MF: During the entire Olympic experience from tryouts to the end, what were your feelings toward Herb? KM: I never had a problem with Herb. Again, he knew what made every player tick. We actually did a psychological test, which was unheard of at the time. Now, being a part of the New York Islanders, we do a psychological test with all of the kids we’re considering drafting. I think Herb’s was a 300-question psychological test. I didn’t think anything of it at the time. There’s no doubt in my mind that he took those, looked at them, and figured out how he could get the best out of each one of those players, whether it was riding a guy hard, backing off, when to kick them in the pants and when not to. He did that throughout the year, and it always seemed to work. When you’re talking about 20 players, you’re talking about 20 different ways to motivate. He was a master of that. MF: A few months after the Olympics, you won a Stanley Cup — one of four total — with the New York Islanders. Which would you rather win: a Stanley Cup or a gold medal? MF: As I say to you every time we talk about 1980, it’s been a thrill reliving this with you. Thanks for your time.